To say that Alankar 2014 was a grand spectacle, bigger and better than at any other time in its illustrious history, would be just stating the obvious. So I am not going to say that. Instead, I will make the claim that it was also very meaningful and reflective of the changing trends in management and business education. The key shift in the ideation process in recent years has been a holistic, broader view of value creation and the growing realization that value can be created from the unlikeliest of sources, against seemingly unreasonable odds. The speakers arrayed before us ranged from disciplines as diverse as social service, sports and cutting-edge scientific research. The audience was mostly a crowd of young spell-bound would-be entrepreneurs, managers and engineers. 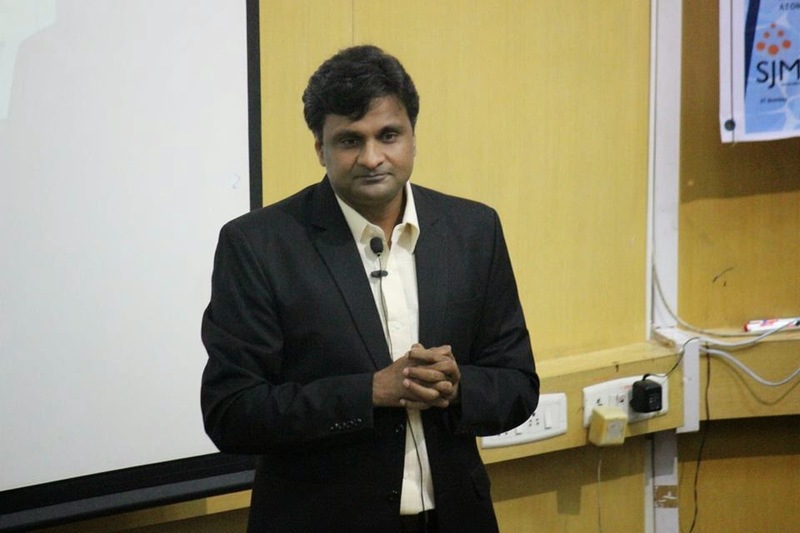 It all began in a very un-businesslike, relaxed session by Mr. Javagal Srinath, the pace spearhead of the Indian attack just a few years ago. Mr. Srinath, being an engineer, felt quite at home with the predominantly IITian crowd and established a wonderful rapport with the audience. He had the audience in splits with his well-timed and precise humour, reminiscent of some of his exploits with the ball. He recounted his experiences in the Indian cricket team, the dressing room atmosphere, the highs and lows of a long career as a fast bowler and the quieter, yet equally meaningful journey after he bid adieu to his beloved sport. However the defining moment of the talk arrived when Mr. Srinath narrated an anecdote from his youth when a fellow young cricketer believed in him so much that he gave up his own fast bowler slot in the team in favour of Srinath as he felt that it seemed more just. Cricket truly was a gentleman’s game, at that moment in Srinath’s life, and it always remained a source of dogged inspiration even at the lowest ebbs of his professional career. When time conspired to take Srinath away from his cricket-fanatic audience, there was a definite sense of melancholy at what a few more hours with one of our cricketing idols could have meant for us. The talk by Srinath set the tone for the day and we were absolutely enthralled by the next guest – the man who lives and breathes by the credo of “Simple Living and High Thinking”, for whom “service for others” is not merely a catchphrase to be bandied about at appropriate times, but is instead a philosophy of life, the activist-extraordinaire Dr. Prakash Amte. We were also graced by the elegant presence of Dr. Mandakini Amte, his partner-in-crime for so many years. The husband-wife duo who have lived with the tribal people of Maharashtra for the last 40 years or so and worked tirelessly for the downtrodden and voiceless took the occasion to talk about their journey, their vision when they first started out and how they overcame the countless obstacles on the way. Mr. Amte’s wit was a joy to behold and the simplicity and wisdom with which he answered the audience’s queries was a revelation. The seminar hall was jam-packed with people and there was hardly any room to stand for the entirety of the session. 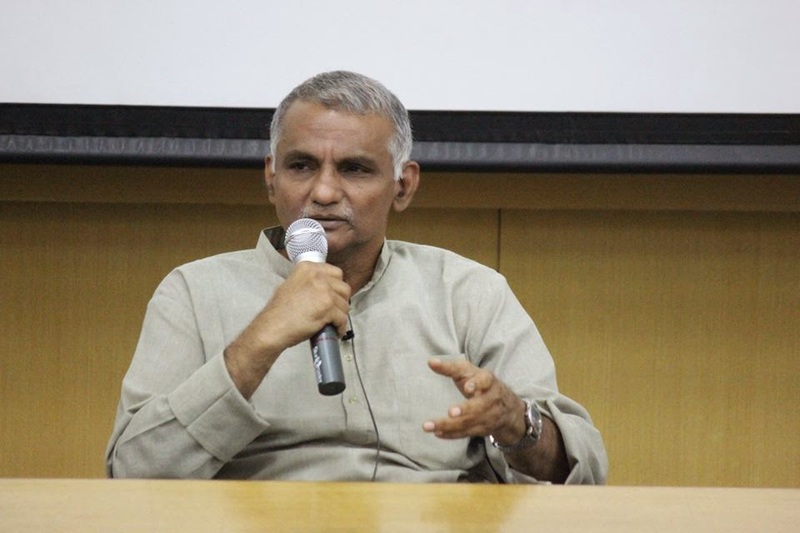 Mr. Amte stressed on the need to be conscientious about whatever task we take up as our vocation and reiterated that if you want to change the world, you could start today. Just like that. Ultimately, if you have clarity of purpose, all the seemingly insurmountable challenges will eventually melt away. The human will is a powerful thing and Mr. and Mrs. Amte are exemplars of its sheer indomitable nature. The audience left the talk with a deep sense of gratitude and inspiration, a sense of new-found belief in the possibility of good things happening. 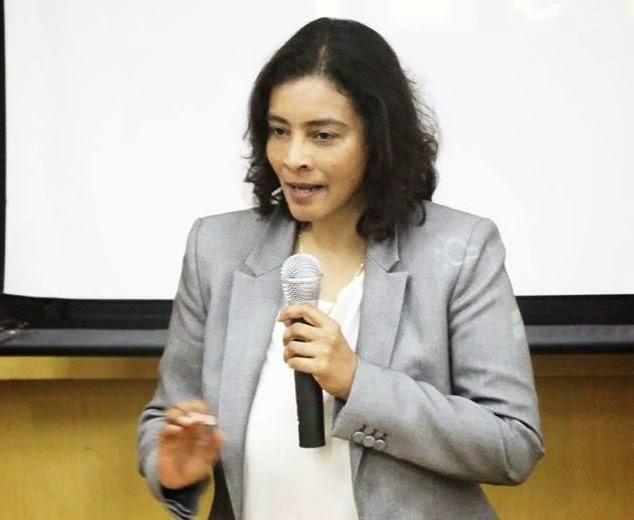 While it was hard to switch off from trying to change the world, intoxicating as the idea is, it was made easy by the easy charm of our third speaker, Miss Monica Tata, CEO HBO India. This was a tale of how you can carve your own niche in the corporate world, how decisions made twenty years ago can have unintended consequences today and how far sheer passion can take you. She spoke about her early stints in sales and marketing just as the Cable TV industry was booming in the post liberalization era. She also kept reverting back to the importance of passion as the “5th P” in Marketing and how you can derive the maximum utility out of your work if you really love what you do. Miss Tata shared some of the difficult experiences that she had as a professional and how she dealt with unpleasant situations, blatant stereotypes and discrimination and traversed her way through the corporate jungle. She also enlightened the audience about the future of the Television and Media industry and the challenges that still remain in the sector – esp. backward integration and digitalization. The session ended on a lighter note when she exhorted the audience to say no to piracy when the next season of Game of Thrones eventually comes out and resist the temptation of the free and illegal torrent download! Bowled over by her humility and charm, the entire audience did foolishly end up promising her no Game of Thrones piracy. The next day of Alankar had just one speaker, but she more than made up in substance what the day lacked in numbers. 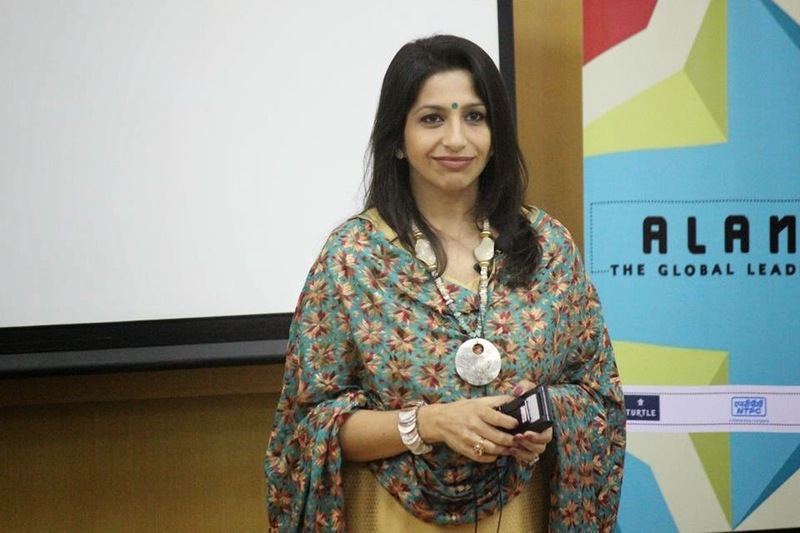 We were with Miss Aruna Jayanthi, CEO Capgemini India. What struck us the most about Miss Jayanti’s session was the confidence and authority she exuded. She was the consummate professional. She avoided talking about herself and instead focused on what the students could take away from an interaction like this. The key areas she wanted us to work on as future leaders were people skills, persistence with ideas, an absolute commitment to delivering the numbers and the ability to convince the entire team about an idea before going ahead with its implementation. She distilled her experience in the consulting industry and shared her interpretation of how corporate life shapes out for many of us. It is not a linear ladder, but is instead a maze or to use her phrase “like a jungle gym”, where you can reach the top through numerous routes. She gave instances from her career where she has taken up assignments which no one else was likely to take up, the unfashionable tasks, because she felt that she would learn something from it despite the unglamorous nature of the profile. There were some lighter moments in her session when she poked honest fun at Organizational Behavior as one of the more painful and necessary pills that you have to swallow in an MBA degree. Miss Aruna Jayanthi is a tremendous role model for female professionals in the industry, simply because she exemplifies a no-fuss, no-nonsense approach to work coupled with belief in the meritocratic nature of today’s work environments. The third and final day of Alankar had another couple of stars lined up. And invoking a heavenly metaphor is quite apposite because we had with us Mr. M. Annadurai, Program Director of Chandrayaan and Mangalyaan, the man who put us on the moon and then took us to Mars. The sense of excitement and pride was palpable in the hall, even before Mr. Annadurai had arrived. 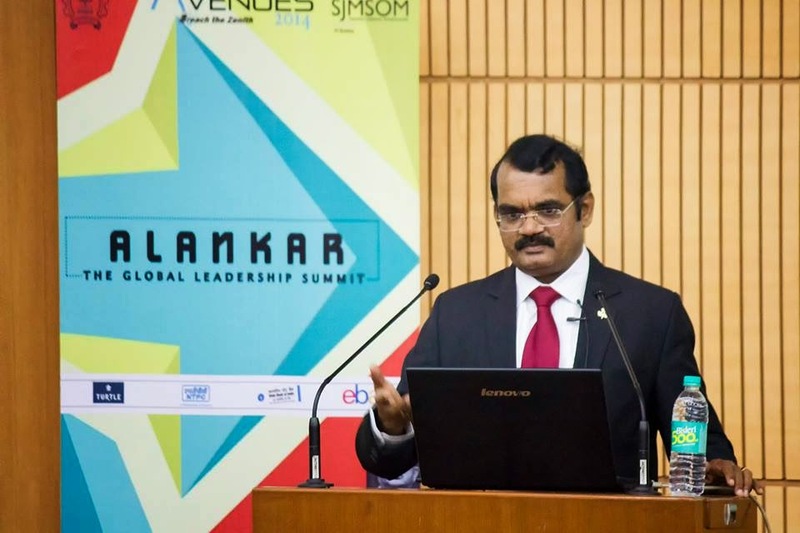 His talk began with his early days in the ISRO, how he received timely and much-appreciated encouragement from the ISRO director when he was just cutting his teeth in the job, how cost-efficiency and delivering projects on tight schedules became second nature and the humongous challenges faced by his team during the planning and execution of both the lunar and the Mars missions. He took the audience through a detailed walkthrough of the challenges in each mission and how they were overcome. We were captivated by the animations of satellite orbital insertion maneuvers that he shared with us. The major idea in the talk was the marriage of knowledge and intelligence to create innovation. He also gave a sneak-peek about the future of ISRO with a reference to the Aditya-I mission to the Sun. The extremely challenging resource constraints under which ISRO routinely pulls of miracles is indeed a source of immense pride and inspiration for all Indians and the audience was suffused with that very joyous feeling by the end of this lecture. All good things must come to an end and so did Alankar-2014, but not before one last detour into history. 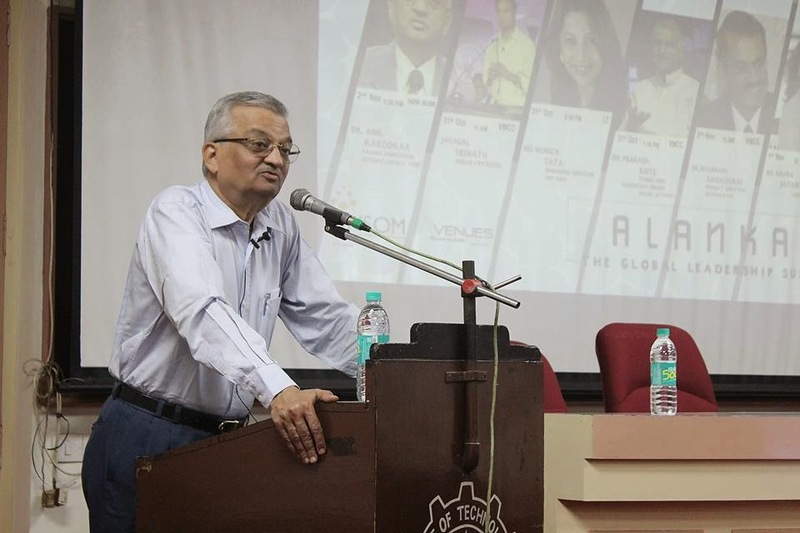 Mr. Anil Kakodkar, former chairman of Bhabha Atomic Research Centre, was our last guest and he took us back to the halcyon days of Pandit Nehru and Homi Bhabha when India was taking baby steps in the field of nuclear energy. The key principles on which our atomic energy programme was based on was self-reliance. This principle has stood us in good stead over so many decades, we have made tremendous progress in atomic energy production and also in our strategic programme. Mr. Kakodkar explained the rationale behind some of our historical choices and we were left with a better grasp on the complexities of policy design on a large scale. 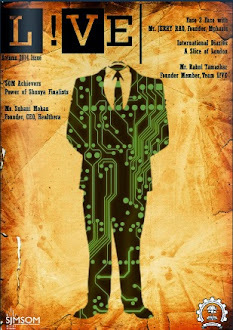 He also spoke about several other key issues that continue to confound us as a society – esp. the massive migration and uneven urbanization challenge. Even after retiring from his career in public service and research, he continues to be active in the social space and is mentoring pilot projects aiming to boost village economies and provide an ecosystem where employment generation can be achieved locally, thereby preventing migration. Mr. Kakodkar also spoke about the urgent need to deal with issues of land acquisition with sensitivity, the dynamics involved in environmental protests, how people’s concerns must be handled and how the “Not in My Backyard” problem can be resolved in the context of a project of national importance. This talk was a serious introduction to the intricacies of public policy formulation for many people in the audience. Alankar 2014 was now officially over. For many of us who organized the event, it was a once-in-a-lifetime experience, beginning at the planning stage and culminating in the goosebump-inducing moment when you get to take a picture with your idol. For the audience, it was an extremely inspiring, educational and humbling experience listening to people who have devoted their lives to things they loved, people who have achieved everything they could have professionally and yet retained the humility and grace that comes with true greatness, people who have spent years battling the odds and hence developed that razor-sharp, zen-like focus and clarity of purpose that is almost always a defining characteristic of a successful organization. Alankar was special and we take this opportunity to once again thank all our guests for agreeing to talk to the students. For everyone who is reading this, you HAVE to be here next year. It is that good!